In this guest blog, Ange Neil shares their experience as a homeless youth and Indigenous, non-binary transgender person who is working as a social worker on LGBTQ2S specific programming for the next generation. 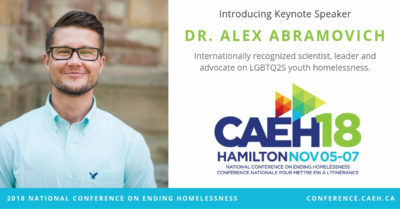 Our upcoming National Conference on Ending Homelessness from Nov. 5-7 features important sessions addressing LGBTQ2S youth homelessness, including one co-presented by Ange. I remember telling my friend at school in Grade 12, “I think I like girls… like ‘like-like’ them”. She responded with a shrug and said she wasn’t surprised because I looked like a lesbian most days anyways. It took another four years before I stopped dating women in secret and my family knew I was gay. I lived as a woman, identified as a lesbian but there was still this misunderstood piece of me gnawing away at my being. When I was 17 years old I ran away from home for the last time and found myself couch surfing and outstaying my welcome with a friend’s family. I refused to return home to my family at this time and homeless youth became a term used to define me. I found myself placed in a foyer model home for feminine identifying youth. I lived there for three years and found a lot of healing, love, and opportunities from this home. I grew up a little bit, realized the world isn’t all dark, and was able to accept that being gay wasn’t a sin. But there was still this misunderstood piece of me gnawing away at my being. I entered the community ready to live as a functioning member of society not dependent on programs and systems. I was in post-secondary for my Bachelor of Social Work degree. I was working at a non for profit. I was succeeding, on paper. It would take another two years before I found stable housing, stopped living out of my car, and carrying a backpack of necessities with me. The community I had built around me because of living at the program I previously mentioned followed me throughout these years. They became another family to belong to. They helped me reconnect with my biological family and find healing. This community was there for the graduations, the birthdays, the recovery milestones, but they were also there for the messy moments – the hospital trips, the doctor’s appointments, the heartbreaks; they were there for the darkness and the light. And through it all there was still the misunderstood piece of me gnawing away at my being. It was March 2017. I was 23 years old; still a youth. I met a non-binary transgender person who explained what being non-binary meant. That misunderstood piece of me gnawed at me a little harder that day. I went home to my partner (sexuality turns out to be fluid and I ended up in a long-term relationship with a man) and that misunderstood piece finally had words for itself. I told him I am transgender and the process began. It took another nine months before I told my family I was transgender. It took a year before I decided medical transition was something I needed to do. It took a hospital trip, a lot of darkness, grief, and some deep introspection to understand what being Trans means to me. Mostly it took time, love, and a whole lot of community. My people, my community, needed to show up and love me until I could learn to love myself. And they did. The humans surrounding me refused to let me drown in the darkness that initially came with being transgender. I tell you this story because I hope I can shed light on the need and importance of having love, support, and LGBTQ specific programming for the youth who come after me. My story isn’t an isolated one. It’s not the only story. It’s not the only way the story can go. For many LGBTQ2S+ youth finding community, belonging, and healthy support can be difficult to navigate. There are increased risks for Queer youth. They experience higher rates of substance use, physical, emotional, and sexual violence, mental illness, and suicide. If I didn’t have competent, understanding, best-practice driven professionals and natural supports in my life I may not be here to write this for you. On more than one occasion I have grappled with the decision to stay alive for tomorrow or throw in the towel on this life business. The most recent suicide struggle happened after coming out as transgender. I could not cope with the daily dysphoria but also I hated the fact that I was Trans. Again, I speak to how important it is to have the community I had to carry me through this and lead me to a place where I know and believe it’s okay to be Trans. I work at Boys and Girls Clubs of Calgary in Aura. 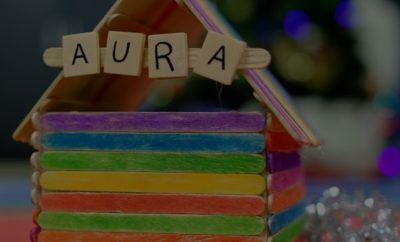 Aura is the LGBTQ2S+ specific housing first program in Calgary for youth 16-24 years old. I work directly with youth to help them find stable housing, gain life skills, create community, pursue education and employment, and most importantly find peace with the misunderstood pieces of themselves gnawing away at their being. I am honored and privileged to work with the youth coming after me. As Dr. Alex Abramovich says, “It’s not enough to encourage young people to be themselves and promise them ‘it gets better’; we have an ethical and moral responsibility to make it better now”. And I fully agree, by creating competent, best-practice focused, and LGBTQ2S+ specific programs we are responding to this responsibility. Catch Ange Neil presenting at next week’s National Conference on Ending Homelessness. On Nov. 5, they will present at the “Supporting Vulnerable Populations: Youth, Indigenous, LGBTQ2S+, and FASD Homelessness” session. Ange Neil is an Indigenous, non-binary transgender social worker. They are passionate about ending youth homelessness, creating supportive, culturally appropriate, LGBTQ2S+ centred spaces for the young people coming after them. Ange shares their story and learnings online and across Canada seeking to inspire and bring light to the darkness. Find them at angeneil.com. Dr. Alex Abramovich is one of our special keynote speakers at the National Conference on Ending Homelessness from Nov. 5-7 in Hamilton. This year’s conference is promising to be our best one yet with 77 concurrent sessions and over 200 local and global experts, including our largest attendance of people with lived experience. We’ll be live streaming keynote presentation on Facebook. Don’t miss out on the conference: follow us on Twitter and Instagram for conference highlights using #CAEH18.